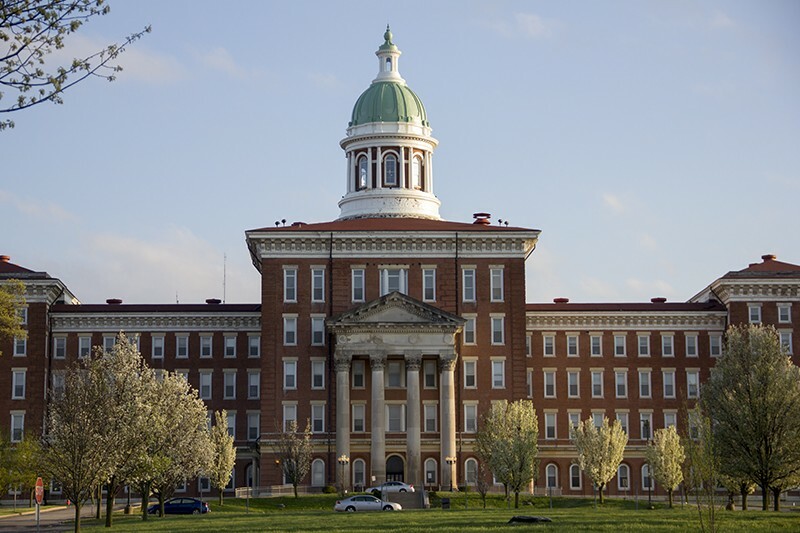 The St. Louis Psychiatric Rehabilitation Center. The current debate over the unification of St. Louis city and St. Louis County may seem fractious as hell, but it's probably light stuff compared to what happened during the original un-unification, "The Great Divorce," that split the two entities in 1876. For example: It turns out that the Great Divorce sparked a brief armed standoff over control of the St. Louis County Insane Asylum. First built in 1869, the asylum sits just west of Tower Grove Park on what was then county land. But when lines were drawn to separate city from county, its acreage ended up within city limits. And the asylum became a battleground between rival superintendents: Dr. Charles Stevens, who was loyal to the county, and Dr. Norman Howard, who refused to relinquish his city-given control over the institution and its patients. The story, uncovered by historian Amanda Hunyar in her new book St. Louis State Hospital: A 150 Year Toward Hope, began as an administrative squabble but quickly turned ugly. Hunyar works as a librarian at the institution — today known as the St. Louis Psychiatric Rehabilitation Center — and she started noticing something odd while reading through newspaper records from the late 1870s. What she found was that both governments, city and county, had appointed their own superintendents, and both men had staked out territory on the asylum grounds. "The superintendent would be required to publish a little report on what was going on in the insane asylum," Hunyar says. "Then suddenly I noticed, like, oh, Dr. Howard is publishing his report, and then a little while later, Dr. Stevens is publishing his own report." It didn't make sense: Dr. Howard had been selected superintendent by St. Louis city Mayor Henry Overstolz, and the asylum grounds were within the newly drawn city. Meanwhile, the old county court that had appointed his rival, Dr. Stevens, had been written out of existence under the "Scheme and Charter" plan that codified the end of a county-ruled St. Louis city. Still, Stevens (and the county, apparently) refused to relinquish control. It all came to a head on February 1, 1877. 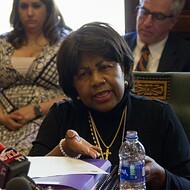 The confrontation of rival superintendents became a front-page story on the next day's evening edition of the St. Louis Dispatch. 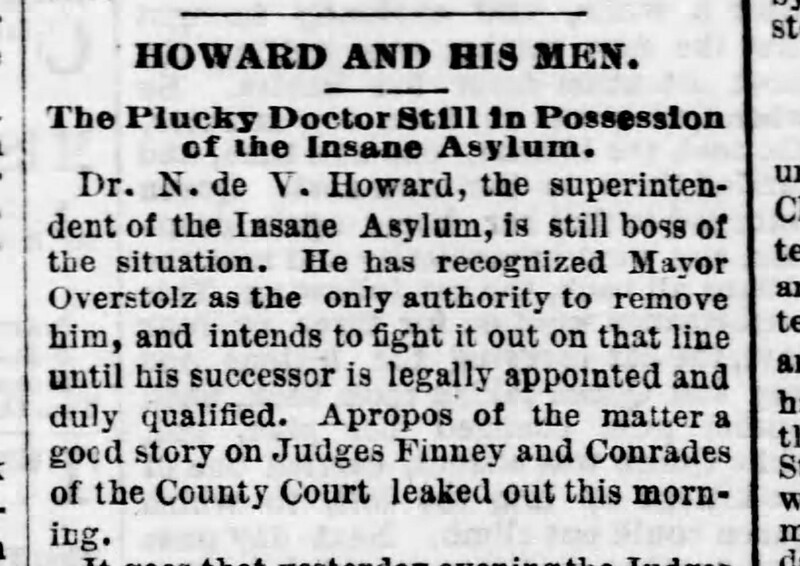 The story, presented under the headline "HOWARD AND HIS MEN: The Plucky Doctor Still in Possession of the Insane Asylum," is unbylined, and the source of its information is unclear (it's described only as "leaked out"). But the story immediately grabbed Hunyar. The historian had previously come across newspaper reports describing some sort of showdown between supporters of Howard and Stevens. But those other reports had been brief and bland. This story, in contrast, seemed crazy. The Dispatch story went like this: On February 1, two county judges named Finney and Conrades decided to evict Dr. Howard once and for all. And to do that, they'd need a gang. That evening, the story details, "the Judges procured four baggage-wagons and a carriage and drove out to Butchertown, where they enlisted about twenty-five men, whose duty was to assist them in taking possession of the asylum, oust Dr. Howard, install Dr. Stevens, and hold the place against all comers." The judges' plan involved Judge Finney distracting the two police officers guarding the asylum yard, while Judge Conrades, accompanied by the 25 Butchertown toughs, would "quietly enter, station his force in the house, throw Howard out and lock the doors." Judge Conrdaes: "What in the deuce are you doing here, Captain?" Captain Fox: "Just laying around loose like.... What brings you out this time of night, Judge?" Judge Conrades: "Thought I'd run out and see how Howard and Stevens were getting along." 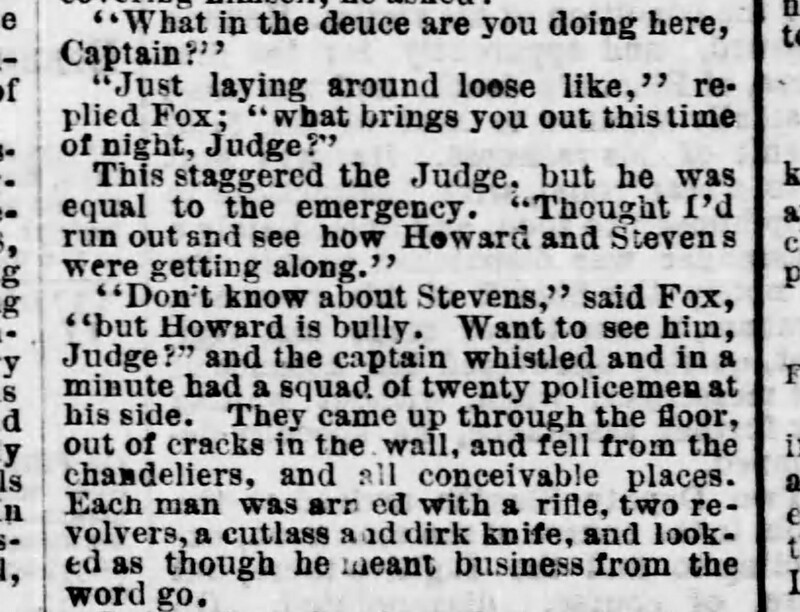 Captain Fox: "Don't know about Stevens, but Howard is bully.... Want to see him, Judge?" "[T]he captain whistled and in a minute had a squad of twenty policemen at his side. They came up through the floor, out of cracks in the wall, and fell from the chandeliers, and all conceivable places. Each man was armed with a rifle, two revolvers, a cutlass and dirk knife, and looked as though he meant business from the word go." The judges were reportedly infuriated, cursing as they drove away; the story fancifully describes their ride home: "The air was blue and filled with dashes and big exclamation points along the entire route." For a historian like Hunyar, the story was a gem. "It just cracked me up," she says now. "It was fascinating, and I just loved how they describe Howard’s supporters coming up through the walls and falling through the chandeliers." Although the purported dialogue between the captain and judge sounds too good, and too specific, to be entirely true, the story reveals a side of the city-county divide that feels familiar — an administrative breakdown over control of services. But unlike disputes today, which tend to be settled by lawyers (if not dueling Twitter slogans), this was the Wild West: what was "legal" could be determined by political patronage and the threat of force. In a followup story on February 3, 1877, St. Louis city Mayor Overstolz indicated that he'd been behind the surprise showing of mounted police at the asylum: "It had been his intention to occupy a neutral position towards the asylum, except to prevent Dr. Howard's being ousted by force." 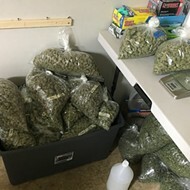 Ultimately, Mayor Overstoltz agreed to withdraw his police force, on the condition that the county court would similarly resist making any further attempt to remove Dr. Howard. Detente reached, days later, a St. Louis city judge reportedly declared an official end to "the insane asylum war." Howard would remain superintendent of the asylum for another seven years. When it came time to pick his successor, the city had a candidate readily available, and Dr. Stevens finally got his wish to take over the institution. He served as superintendent until 1886. We can only hope for as amicable an ending to today's Better Together arguments — or at least, one that won't require cutlasses. 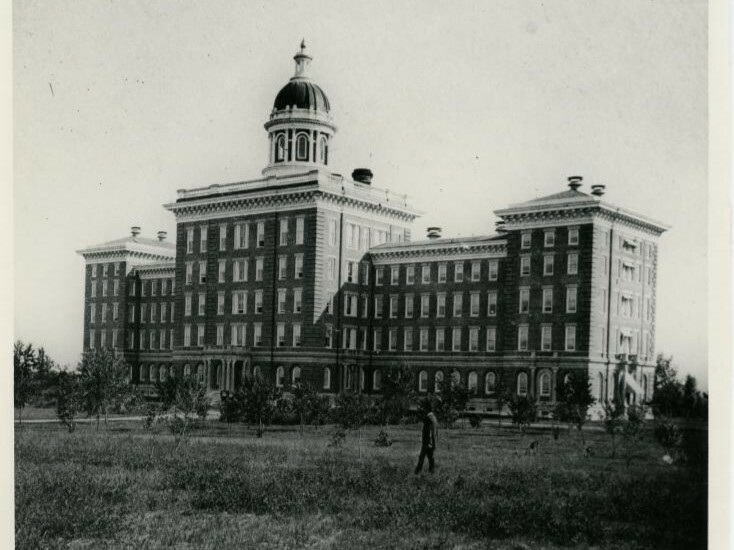 An 1872 photo of the St. Louis County Insane Asylum.